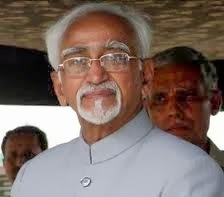 Vice President of India Mohd Hamid Ansari has lauded the National Cadet Corps (NCC) cadets for their emergency relief and humanitarian assistance to the distressed people during the devastating floods in Uttarakhand, last year. Inaugurating the NCC Republic Day Camp 2014 here today, he said the NCC has also undertaken laudable initiatives for socio-economic welfare for citizens on important issues such as adult education and health care. He said the NCC programmes for combating social evils such gender discrimination, dowry, drug abuse and corruption and its efforts for environmental conservation and protection are also commendable. He also complimented the efforts of NCC, the largest uniformed organization in grooming the youth of the country and its contribution towards ‘Nation Building`. He added that NCC is and would be in the vanguard of all activities of our youth helping to channelize their energies to a creative force in order to usher in social changes through spectrum of activities. The Vice President urged the NCC cadets to avail the best of NCC training and be more responsible and empowered citizens of the country. Earlier on his arrival, the Vice President was received by the Director General NCC, Lt Gen Aniruddha Chakravarty. A contingent of smartly turned out NCC cadets drawn from all the three wings of Army, Navy and Air Force, presented a ‘Guard of Honour’ to the Vice President on his arrival. This was followed by a Band Display presented by NCC cadets from Scindia School Gwalior and North Eastern Region. The Vice President also visited the Flag Area where he listened to the young cadets briefing about their respective States and appreciated the various social themes displayed in the Flag Areas prepared by them. 2070 Cadets including 702 girl cadets drawn from 17 NCC Directorates covering all the States and Union Territories of the Country are participating in this camp which will culminate on the Prime Minister`s Rally on 28 Jan 2014. The cadets attending the camp will be participating in a number of activities like Cultural Programme, National Integration Awareness and Institutional Training Competitions.